In a new world where ‘access’ to items is valued above ‘ownership’, business models that provide consumers with what they need, only when they need it, are rapidly gaining traction. It’s the sharing economy. AKA collaborative consumption. AKA peer-to-peer. And it’s here to stay. You may be aware of the largest players in the sharing economy and may even depend on them for certain services. At $30BN, Airbnb is now valued as much as Hilton and Hyatt combined . The $64BN valued Uber is decimating the taxi industry. In what may be a sign of the times, last year Ford announced in the US a car-sharing program offering buyers a new way to offset “the pains” of car ownership – basically an Airbnb on wheels. All part of a less making, more collaborating plan, perhaps? It seems that Ford, like everyone else, must adapt to the sharing economy or be left behind. 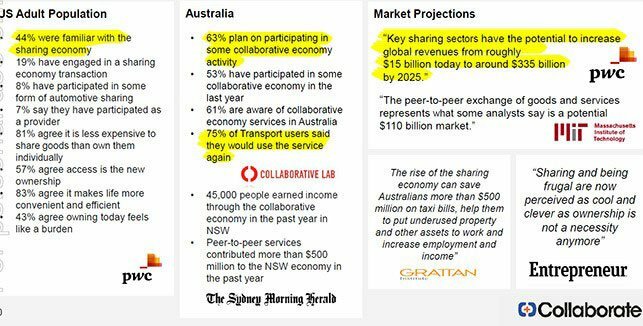 Collaborate Corporation (ASX: CL8) represent the epitome of this global trend on the ASX, with a number of technology platforms that are set to profit from the sharing economy. CL8 is becoming a leading player in the sharing economy through online marketplaces allowing peer to peer lending of cars, caravans and other assets. CL8 has struck corporate partnerships with high profile companies, who all see significant value in the platforms CL8 is operating. At the same time, we note that CL8 is a small speculative tech stock, and an investment in this company is no guarantee to be successful. Seek tailored professional advice before making an investment. Having focused on consumer transactions, the company is expanding its focus to pursue higher growth business transactions through relationships with multi-billion dollar companies such as Uber and InterLeasing. CL8 recently struck a deal with Subaru, announcing last month that CL8’s DriveMyCar car rental platform will be promoting Subaru’s new All-Wheel Drive Levorg wagon as an extended ‘try before you buy’. Subaru has already extended the deal to include additional models. CL8’s aim is to rapidly build a scalable, high margin business through corporate partnerships, while at the same time helping you take your expensive idle assets and turn them into revenue generators. CL8 is the only ASX-listed company that operates peer to peer online marketplaces monetising under-utilised assets. And there are billions of dollars’ worth of these assets out there. Looking at the bigger picture, consumers relying on the affordability of sharing economy services are the first to become literate, but traditional sectors and governments are starting to catch up. And it’s not just a ‘millennials’ trend, many of the assets being rented are owned by the older generation who are seeking a better return on their assets. With major corporations and even governments investing in collaborative consumption, it seems there are many more big opportunities ahead in the sharing industry, and this company is poised to exploit them. The ingredient that holds the whole sharing economy idea together is trust. We’ve outsourced ‘personal reputation’ to the web, which has widened the pool of people we can trust, even when we don’t know them. CL8 has created online marketplaces and trust platform technologies that offer secure, sustainable competitive advantages and the ability to scale across multiple industries. So much so that InterLeasing, Subaru and thousands of others have entrusted CL8 with their own assets. Even Alan Kohler is a fan, having invested it this stock himself – so let’s find out a bit more about this $8M capped ASX stock that is capturing the interest of major corporates, solving problems that they cannot. 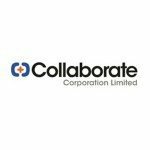 Collaborate Corporation (ASX: CL8) is looking to assure and insure the growing community of peer to peer consumers. We first wrote about CL8 quite a while ago now , and it has continued to evolve as a company since that time, increasing revenue, focusing its strategy and securing partnerships with companies many times its size. To enable asset owners – whether individuals or companies – to generate income from their idle goods by safely and conveniently renting them to others who wish to pay to rent them. These companies obviously see value in partnering with the up and coming CL8 to leverage its expertise and potential in the sharing economy. They are all major global corporations with significant resources. Arguably all of them could have attempted to create these opportunities for themselves. They chose to partner with CL8. We are talking about billions of dollars worth of idle assets that could be much better monetised in this day and age. And that is what CL8 is all about. The company is making strong moves in peer to peer consumption and has created technology for online marketplaces, putting front and centre the need to build trust between individuals, as well as companies, as they transact online. CL8 has four platforms all with significant growth potential. Below is a detailed look at each. Launched six years ago, DriveMyCar is Australia’s first and largest peer to peer car rental operator, and CL8 has built a vehicle fleet with a total value of over $20M, all without having to buy or lease any assets at all. Owners earn money from their car; renters gain access to a wider range of vehicles, while saving money compared with traditional car rental services. Average rental periods for vehicles is 38 days – equating to significant revenue from each transaction for CL8. As CL8 adds a lot of value, it can justify charging a premium. For a typical $45 per day car rental, it keeps 40% as its revenue – and remember, it does not own any cars so it has none of the crippling costs of owning a fleet. The question many people ask when looking at the sharing economy is: who checks the credentials of those conducting business? The core value of CL8’s peer to peer service is trust – and that’s where it really stands apart. CL8 actually have no competitors offering the same service, where you can not only find people wanting to borrow your car, you can rent it out to them with the security of insurance and thorough credential checks. Crucially, DriveMyCar screens people before they can book a car. The company verifies renter IDs, performs a credit check and collects the first payment and bond before a rental is confirmed. All vehicles are covered by insurance and 24/7 roadside assistance. 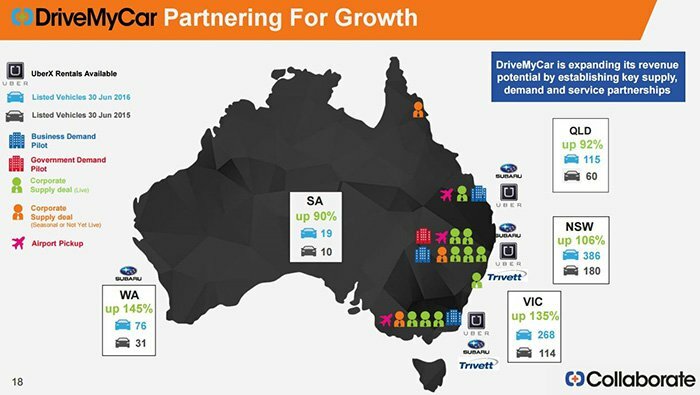 Thus far, DriveMyCar is CL8’s biggest revenue generator in a car rental market worth $3.4BN in Australia. The most recent figures from CL8’s latest quarterly clearly demonstrate the growth that is happening, with an 18% increase in receipts from customers vs June 2016, and a 39% increase in receipts vs the September 2015 quarter. With FY16 revenue up 45%, and gross profit up 107%, DriveMyCar is starting to show how the economies of scale is working into CL8’s favour. To date DriveMyCar has paid over $5.35M to vehicle owners, proving how successful the sharing economy can be. So, the business model is proven – now it’s all about scale. At the same time, past growth in key metrics is no guarantee to continue for CL8. The company is a speculative tech stock, and investors should do their own due diligence on the company before choosing to invest. CL8’s DriveMyCar has partnered with companies much larger than itself, including Uber. DriveMyCar offers vehicle rental services for UberX ride share driver-partners who may not have access to a car. Automotive dealers, automotive manufacturers, including Subaru, and automotive leasing companies including InterLeasing, all supply cars for DriveMyCar to rent on their behalf. InterLeasing is one of the largest leasing companies in Australia, managing over 70,000 vehicles across the corporate, government, health and NFP sectors, with $1BN+ in assets under management. If you take a look at the below figures which relate to the corporate supply of vehicles, you’ll see the impact of these corporate partnerships from FY2015 to FY2016. In the near future, it is expected that DriveMyCar will add more partners, increase its consumer marketing, add more handover locations and expand corporate and government rentals. And the best part here is that many corporate rentals only started building during FY16 for CL8, so these will continue to build and generate even more income. As mentioned earlier, Uber has also recently join ed the CL8 bandwagon. The Silicon Valley tech unicorn has partnered with DriveMyCar to provide UberX drivers the use of vehicles from $179 a week. CL8 announced in September that demand was exceeding supply , and that more vehicles would be required for the UberX partnership. Net Rental Days in the quarter to September totalled 1,192 days – that’s 10% of the total reported for the whole of Australia. The month of September accounted for 59%, with 702 days – an increase of 120% on the previous month. And as discussed above, global vehicle manufacturer Subaru has been the latest multi-billion dollar organisation to partner with DriveMyCar. CL8 has also boosted its parking and handover options through partnerships with Wilson Parking, Midas, Park & Fly and Easy Airport Parking. CL8’s agreement with InterLeasing first took effect in November 2014, offering a ‘second life’ revenue stream for ex-lease vehicles. This agreement also includes handover services in Sydney, Melbourne and Brisbane airport, which is a good opportunity for premium pricing opportunities, and subsequently fatter margins. With the latest announcements regarding agreements with Subaru and Aon, the growing list of companies and individuals looking to collaborate should offer a good dose of comfort for CL8 investors. DriveMyCar is currently the most established and best performing of CL8’s platforms, and while it continues to grow strongly, the company is starting to put more resources into its other assets in order to build into other potentially lucrative markets. Like DriveMyCar, MyCaravan is an Australian first peer to peer marketplace – this time for caravans, and was established in 2014. In CL8’s September quarterly report, MyCaravan reported 813% growth on the June quarterly figures, while caravan activations increased in line with an online advertising campaign, reaching 75% higher than the FY16 average. There is large addressable market here (think about the grey nomads and overseas backpackers that travel around the country), with the number of caravans and trailers in Australia exceeding 500,000 and 22,711 recreational vehicles manufactured in 2015, the highest production levels in 37 years. Although CL8 hasn’t done much with the brand as yet, that is changing with the company commencing a small online advertising campaign in September this year. When CL8 decide to focus more on this space, it could open up a market that according to the Caravan Industry Association of Australia is expected to grow at a greater rate than other accommodation types of domestic travel. International visitor growth will also play a factor, with the industry expected to grow by 5.6% per annum by 2025. Last month CL8 signed a strategic agreement with Aon Risk Services Australia Limited to launch a new platform called Mobilise, a new online rental marketplace that will monetise idle assets. Aon are a leading global provider of risk management, insurance and reinsurance brokerage services with over 72,000 employees worldwide. Parent company Aon plc (NYSE:AON) has a market cap of US$29.18BN. Aon Australia will promote Mobilise to its 50,000 strong network of business clients. The opportunity for Aon (and therefore for CL8) is that each of their clients owns assets, many of which are under-utilised. At the same time other clients may want to access those assets temporarily. Aon have partnered with CL8 to enable AON’s clients to use the Mobilise platform to manage the exchange of these assets between the various clients, thus delivering a unique benefit to AON’s clients. Like Uber and Subaru, Aon have been quick to see the benefits of a partnership with CL8. Again, it comes back to a similar theme for this well-connected company – CL8 has the technology, experience and know how to draw in the big names and corporations who can then turbo-charge their peer to peer success. CL8 holds an 8.33% equity stake in FundX, a provider of short-term finances as and when smaller business require it to manage cash flow. There’s every reason to believe there is high growth potential in this market. The company typically funds freelancers, labour hire, manufacturers and wholesalers via investors who can front up the cash. It was born of a need to help start-up and growing businesses access capital in what is a potential $64BN market, and is a highly scalable fintech platform which has had over $8M worth of enquiries with zero marketing spend and has loaned over $1.85M to date. Big things are expected of FundX, with CL8 looking to increase its shareholding in advance of an expected increase in valuation. With all of this sharing economy expertise, CL8 are in a great position to both build the technology for sharing economy transactions, as well as get a foothold in other peer to peer markets like FundX. Having developed its own technology platform, the company can easily and cost-effectively evolve its existing businesses and launch into new market categories. The launch of this platform – Mobilise – will be the first to see the benefits of leveraging the existing technology platform. While you now have an understanding of CL8’s current portfolio, it is worth taking a closer look at the peer to peer market and the extensive opportunities for scaling. According to PwC, the sharing economy is not just the next rental economy, it is in fact leaving the rental economy “in the shade”. As we know, the sharing economy has been popularized by the likes of Airbnb and Uber and has enjoyed rapid growth over the last five years. It is likely to scale new heights with both PwC and McKinsey and Company estimating it will grow into a $335BN global industry by 2025. Yet several of the players already in the space don’t really offer much in the way of harnessing these opportunities to evolve. Take Gumtree for example. A surprising number of people put their faith in platforms like Gumtree . Users search for people to share their home, buy or sell cars, move their furniture. But really, Gumtree offers nothing past the point of discovery. It’s a free service and no further value is added, including steps to mitigate risk. Some models like eBay or Airbnb go a step further, offering a level of psychological assurance through peer review and social media, but this assurance doesn’t always bear out in practice. Some companies carry the risk and selectively compensate for losses or abuses of their system (like eBay – although there are absolute limits to that ). That’s where CL8 enter and change the game. It may not be the first online marketplace to offer a way for individuals or companies to monetise lazy assets, but CL8 could well be the lowest risk platform that still offers top value to users. If you’re looking to rent something out, CL8 will market it to potential renters, verify them through their proprietary PeerPass platform, handle the collection of payments and provide full insurance along the way. Again, their selling point comes back to the number one asset of all business transactions – trust. This could be the platform that makes biggest difference to CL8’s business. PeerPass combines common verification processes, like social media, with more heavy duty checks through greenID , Veda credit checks, e-way secure payments, e-Signing and document checks directly with the Attorney General’s department. Basically, if you’re Joe Blow and you want to borrow someone’s luxury car, CL8 quite rightly think it’s important to beef up the security checks. And with what looms as a potential upside for investors is that CL8 is looking to license PeerPass to third parties, which could allow users to be verified by a platform that’s applicable across multiple sites and again creates a further revenue stream. 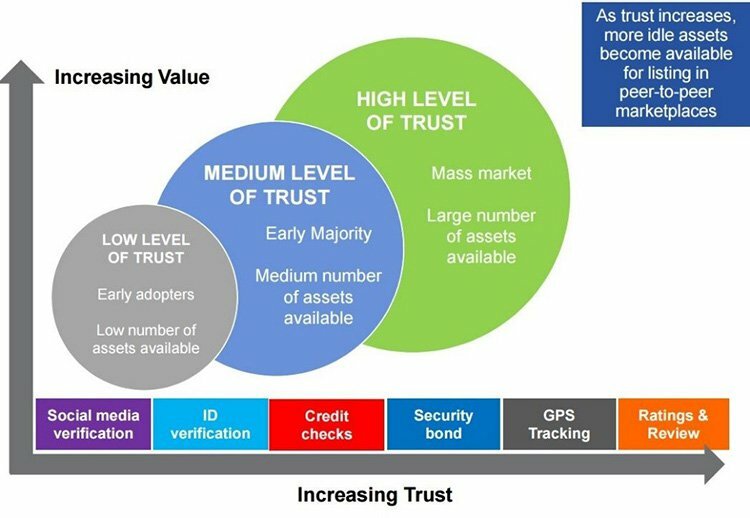 And the more people and other parties who use PeerPass, the greater the sources of information to assess the trustworthiness of users – and thus the bigger the valuation of CL8’s asset. CL8 is actually sharing in the profit made by its insurers, thanks to a low claims record that has been rewarded with rebates. This should be sweet music to the ears of both users and investors. Through CL8’s PeerPass platform, the company has significantly decreased the value of insurance claims for DriveMyCar. In the last year, only $46 was paid out for every $100 paid in premium. Compare this with standard personal motor vehicle insurance which generally pays out in excess of $70 in claims – or even more in the case of rental cars. CL8’s DriveMyCar saw the potential for reducing risk and negotiated a Claims Experience Discount with its insurer and received the maximum rebate – 20% of the annual premium, paid in cash, which was able to then be invested back into the business. This is yet more proof that CL8 know how to ensure safe and efficient peer to peer rental of high-value items like cars and caravans, and it also opens up opportunities to scale profits and negotiate even more competitive insurance rates. 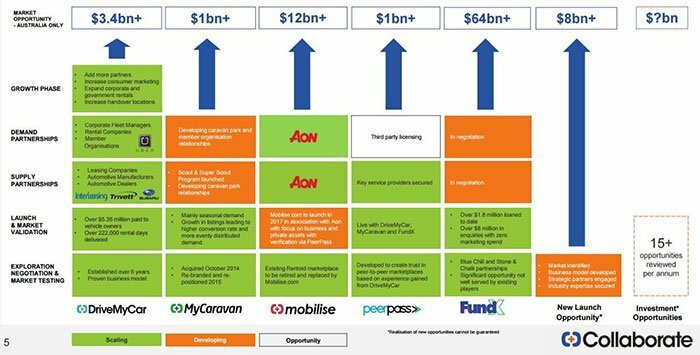 The level of confidence that PeerPass delivers probably convinced the likes of Aon, Uber and Subaru that CL8 is the best partnership opportunity for them in the sharing economy. Another plus of CL8’s insurance coverage is the ability to establish revenue streams that distinguish them from competitors. On other platforms, users can quite easily move to direct communication with each other for future transactions – in essence cutting out the middleman. The safety net of trust vetting and insurance provided by CL8 acts as a great incentive for users to continue transacting through the platform. CL8 has just announced that John Tolmie, former CEO of equipment rental company Kennard’s Hire, is an advisor to CL8’s board – allowing them to take advantage of best practice knowledge from Mr Tolmie’s time at a top company operating in the traditional rental market. Renowned financial journalist Alan Kohler is a shareholder in the company, as he announced in this Qantas Radio interview with Chris Noone, CL8’s CEO and Director. In fact, Alan seems to be a bit of a fan of CL8 – he has interviewed Chris three times! You can listen to the most recent interview here . No one seems to doubt that CL8 are onto a trusted model here. The sharing economy works, and clearly many high profile corporates and investors believe it’s only going to increase in size and profitability for early movers that seize the opportunity – like CL8. CL8 has no debt, and in June, CL8 announced a flexible equity facility with existing sophisticated shareholders to raise up to $2.25M. This facility allows CL8 to draw down funds as and when required over a 24 month period. To date the company has drawn down just $0.27M, involving zero brokerage fees. There’s also the ability for the company to raise additional funds from external sources if necessary. The upside for CL8 and current investors is that with this facility, it can access funds when and as required, without significantly impacting its share price. This reduces the risk of early stage CL8 investors copping a raw deal from dilutive capital raisings. At the same time, there is no guarantee an investment in CL8 will turn out successful. Consider your own risk profile and personal circumstances before investing in speculative tech stocks like CL8. To complement its involvement in tangible asset companies, as we mentioned earlier, CL8 has branched into a non-tangible income stream in peer to peer finance through a strategic investment in FundX. CL8 also hold options to invest in a subsequent fund raising round at the original share price. Another factor adding to the rise of collaborative consumption, not yet mentioned, is the general trend towards sharing goods in an effort to reduce consumer carbon footprint ; an equally significant motivator as cost for many people. You’ve also got cash-poor millennials’ delaying spending large amounts of money on big ticket purchases like homes and cars, which has been perhaps one of the biggest contributors to this new consumption model. These factors, plus the evolution of technology and the internet, have made the perfect storm from which a peer to peer consumption model could emerge. It’s all part of a changing world. The viability of DriveMyCar validates the sharing model, at least as it relates to cars. Now all that’s left is to scale the profits and grow the business based on a proven trend that’s gaining speed all the time. For collaborative consumption models such as CL8’s, the closer the checks and balances get to foolproof, the better. It makes the platform more competitive, the model more attractive and – bonus – it grows the group of people willing to put more (and higher value) items up for rent. At this point the question is not really about whether the business idea is a good one. 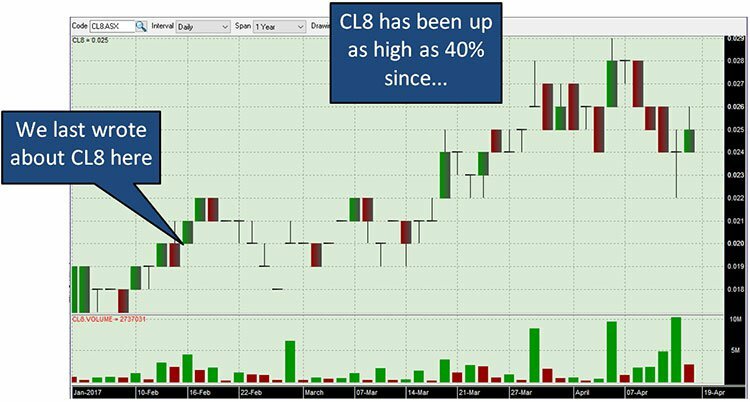 The question is whether you think CL8 are heading in the right direction to profit most. We’ll let you be the judge, but it seems to us they’ve got a lot of the market cornered, and could be set to take a tidy share of the sharing boom.